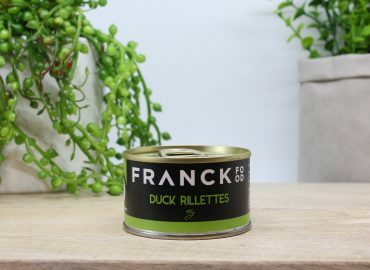 Empty the can of FRANCK FOOD Duck Rilettes in a small bowl, cover and place in the fridge. Prepare the dressing by mixing together the lemon juice, apple cider vinegar, olive oil and mustard. Season to taste with salt and pepper. Set aside. 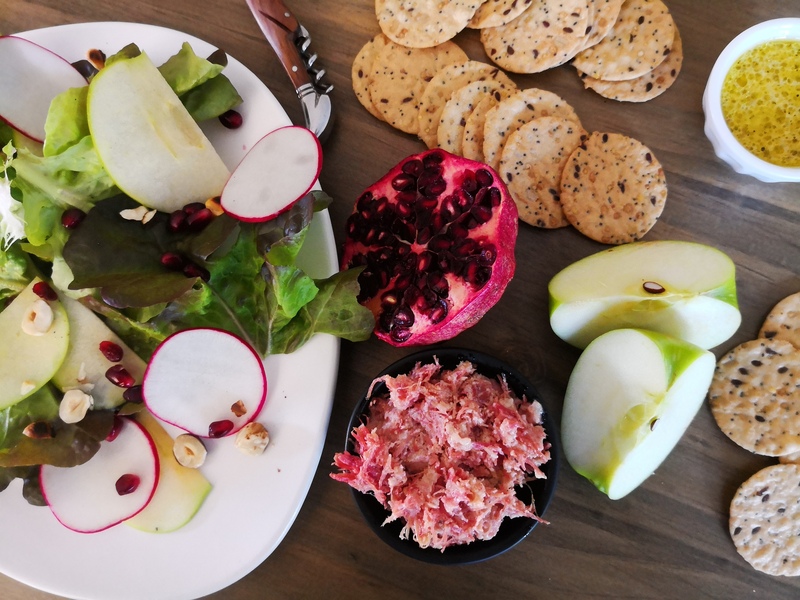 Arrange the salad leaves on a platter and garnish with apple, radish slices and pomegranate seeds. Drizzle with the lemon dressing and scatter with hazelnut. Serve with brown rice crackers and cooled Duck Rillettes.